Globe Scientific offers three great products to simplify the staining process. 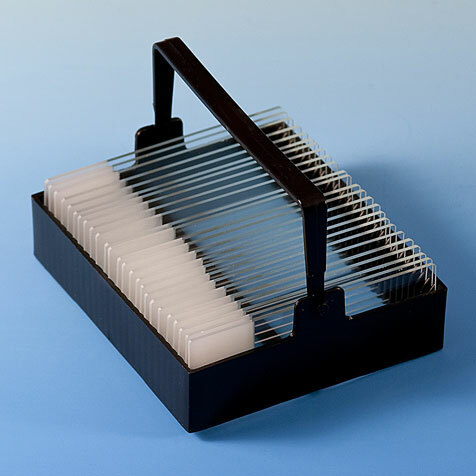 The staining rack is produced from polyoxymethylene (POM) and is designed for the simultaneous staining of up to 25 microscope slides. 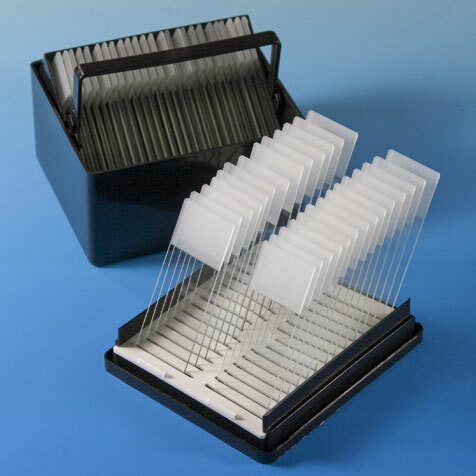 The staining dish is designed for use with our staining rack and features a lid that holds up to 25 slides for upright drying. 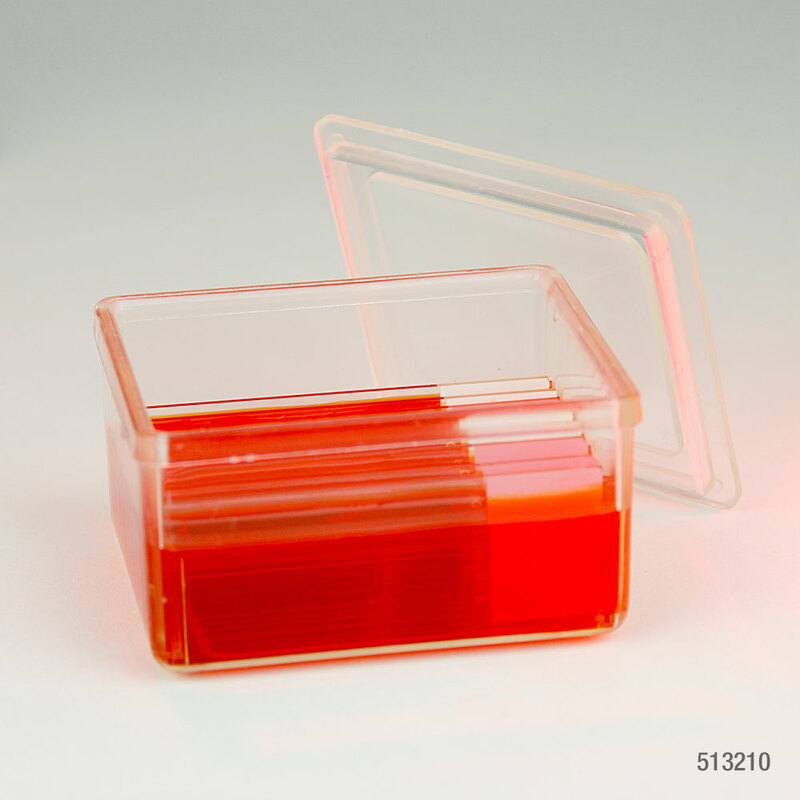 The storage box is produced from polystyrene (PS) and holds up to 4 staining racks (100 slides). 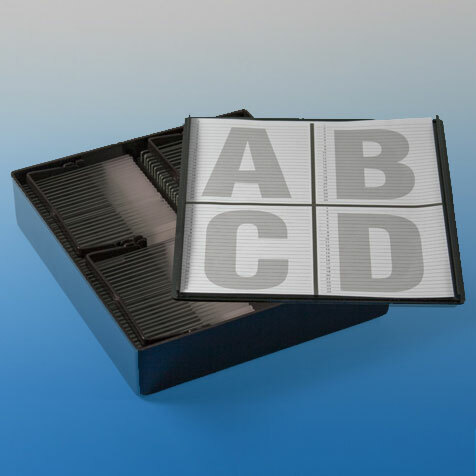 The inside lid of the box contains a detailed slide index sheet to keep slides organized.